I was quite different from the rest of my family in both the way I looked & the way I behaved. This was pointed out to me often, and so I developed a complex around that. And- that complex followed me into my first year at Hartland Summer Camp when I was, at just 8 years old, the youngest girl in my cabin- and apparently the strangest- as they dubbed me "Little Weirdo". Later in life, as maturity refined my rougher edges, weird became "quirky". Not that I did anything to deflect such labels. I actually leaned further into my quirkiness in some weird rebel-without-a-cause notion that found me increasingly isolated & afraid. I wanted to be understood. I wanted to be liked. So why did I make it so hard for the "normal people" to understand? You start to become who you really are... on the outside. Being in the company of people who resonate with your innermost self both liberates & comforts. It says- it's okay to DO YOU. In fact- that's what we LOVE about you most! 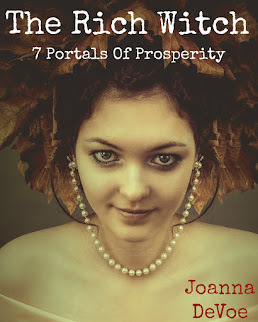 When I came upon the story of The Ugly Duckling in Chapter 6 of Women Who Run With The Wolves, I felt as though I had stumbled upon the story of myself. Which is funny considering that this story of feeling like an outcast is somewhat universal. If we are all outcasts- doesn't that mean none of us are??? That we're really- when we let down the guard of judgement and the need to put labels on people- all a part of one great big tribe? It has become the core tribe of support & friendship that strengthens me. I feel valued in this tribe. I feel understood in a way that I never have before, and it's my honor to in turn understand. So many of you write to me with your personal stories, and if you could see how YOUR story links up with just about every other story I hear, you might breathe a sigh of relief. It's a relief to know that you are not alone. And- I found it interesting that a quick flip through a few of my favorite tarot decks also turned up quite a few swans! 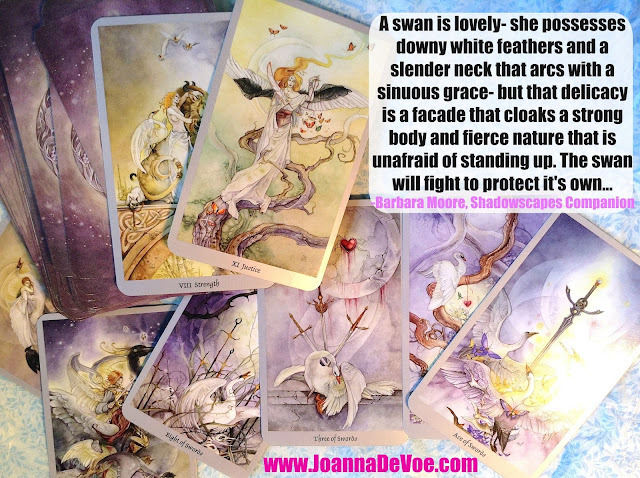 The Shadowscapes Tarot features swan symbolism all throughout the suit of swords and a few Major Arcana cards. "The swan will fight to protect it's own..."
Yes. That too is another reason to find your tribe- to find the people who will spring to your defense when others try to pick you apart. 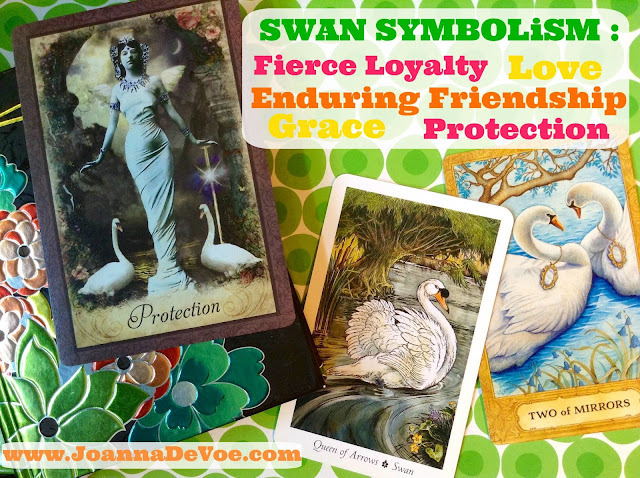 ★ Have you ever worked with Swan symbolism, perhaps as a spirit guide or animal totem? 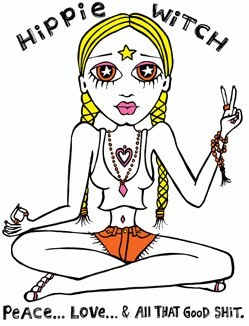 ★ What did that energy feel like to you? ★ What kind of messages did you receive? After delving more deeply into swan symbolism for this post, I am now super hot on exploring this energy as it relates to calling your tribe toward yourself on an energetic level. 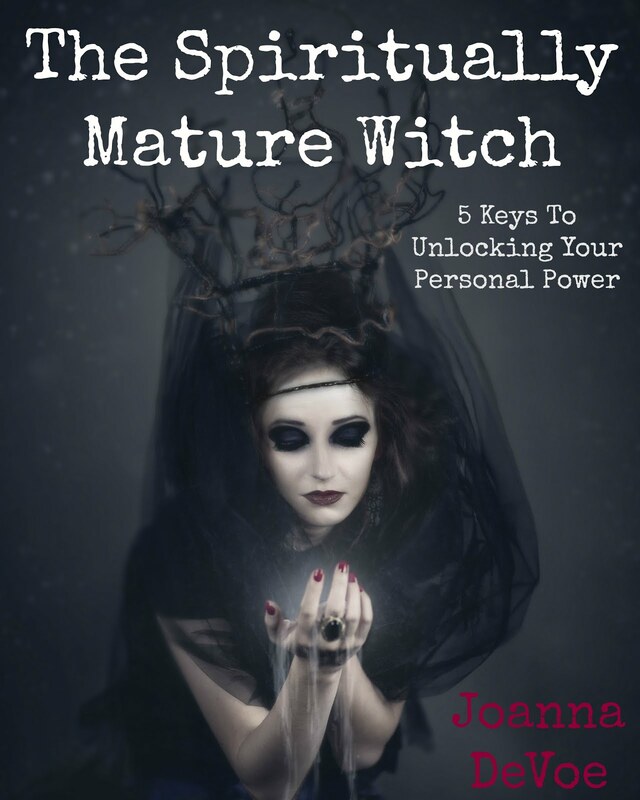 Please remember- if you're looking to connect with a tribe of like-minded witchy people, I am launching a super FUN challenge on Facebook next week, which is designed to help you do just that! an original contribution, a useful and stunning contribution to her culture." This is the story I most vividly remember from the book all those years ago. Thank you.